This home was built in 2002 and is ready to be lived in. Owners have taken care of the property. Nice hardwood floors, ceramic tile baths and an open floor plan. Owner has a 18 KW generator with a 325 gallon propane storage tank placed underground to supply the generator when it is needed. There is also a 125 gallon propane storage tank buried on the property to service the fireplace. The owner has a 12000 lb lift for the owners well craft boat stored at the Marina. Lift can be purchased from the owners, separate from the home sale. This home offers a first floor large master bedroom with a large bath that has double sinks and nice jet tub with separate shower. The hardwood floors are in great shape. The kitchen is open to the great room. This home is priced to sell. Heritage Point is a first class boating community. 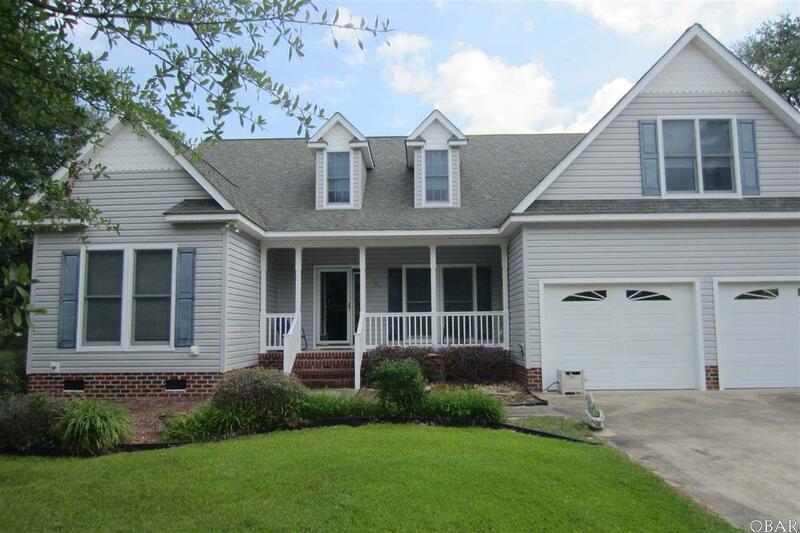 Listing courtesy of James Forrest of Southern Shores Realty.